Training for the GL3D is going well: We spent 3 days this weekend ‘practising’ near Abergavenny. 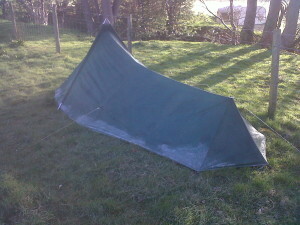 Apart from ice on the tent, nearly running out of food, and navigating through clouds, the weekend went to plan. Even with good preparation, there are always things you learn and that we’ll use for the real event, which is just over 1 month away now! The main learning point for us is that it is the sum of a lot of small details that make such a challenge possible: Fitness, the right kit, the right food, good compass work, good mental segmentation of the challenge into manageable chunks etc. There are many parallels with sales campagins when you think about it!